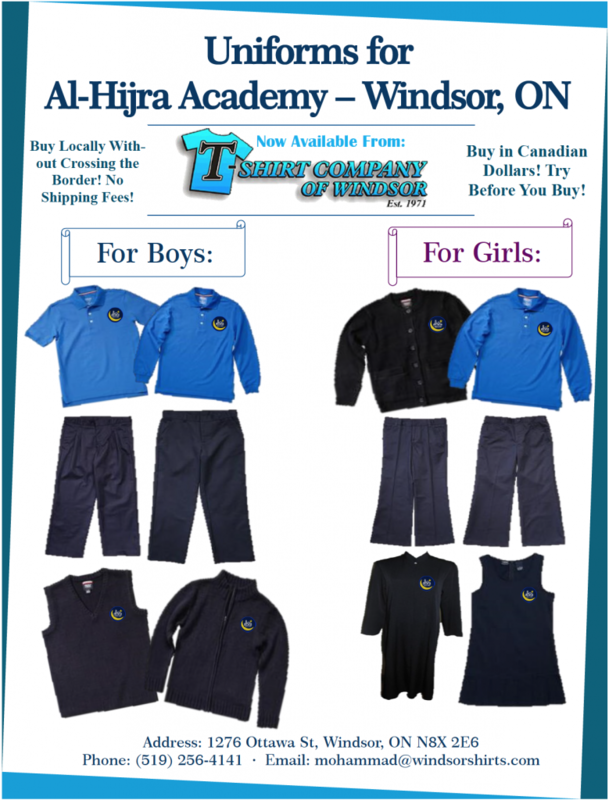 The shirts are royal blue in colour, and the pants and jumpers are navy blue. Uniform tops for Grades 4-8 girls are to be purchased from Br. Mohammad at the T-Shirt Company.